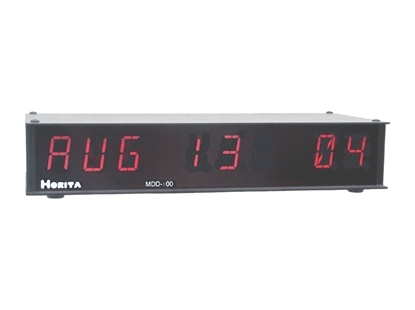 The MDD-100 is a studio date display which reads SMPTE time code and provides either a month/day/year, or day-of-week/month/day alphanumeric date readout. 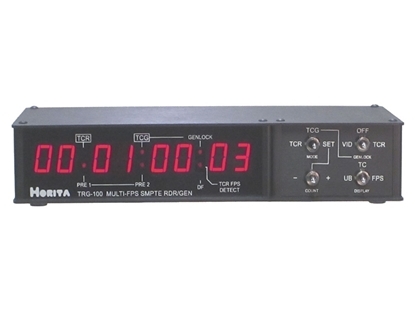 The MTD-100 is a studio time/date display which reads SMPTE time code and provides either hours, minutes, and seconds time readout, or month, day, and year date readout. 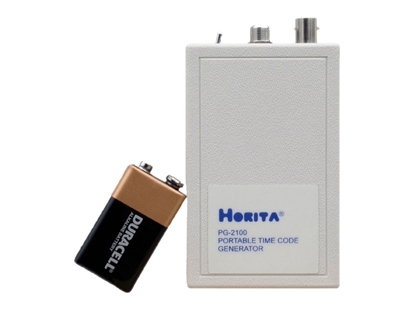 The PG-2100 is an inexpensive palm-sized SMPTE time code generator intended for field use in multi-camera situations when its desirable (or necessary) for each tape to have the exact same time code for precise image matching during post production. 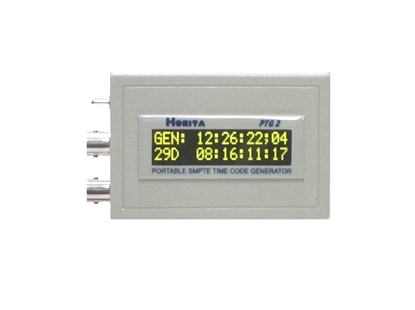 The PTG is a palm-sized SMPTE time code generator/reader that is simple to setup and operate and features a large 2-line liquid crystal display (LCD) readout for time code, user bits, and setup information. The PTG is an ideal generator for use with video recorders in multi camera situations where it is necessary for each recording to have the same time code for precise time and image matching during post production. These situations may include sporting events, games, concerts, automobile, aircraft, and boating events, parades, weddings, etc. 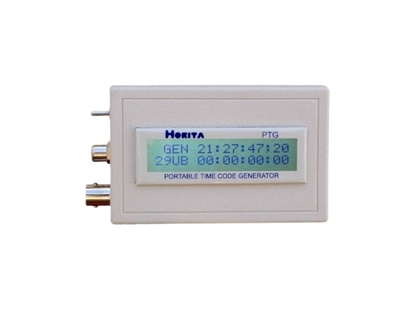 The PTG2 is a palm-sized SMPTE time code generator/reader that is simple to setup and operate and features a large 2-line OLED display readout for time code, user bits, and setup information. The PTG2 is an ideal generator for use with video recorders in multi camera situations where it is necessary for each recording to have the same time code for precise time and image matching during post production. These situations may include sporting events, games, concerts, automobile, aircraft, and boating events, parades, weddings, etc. 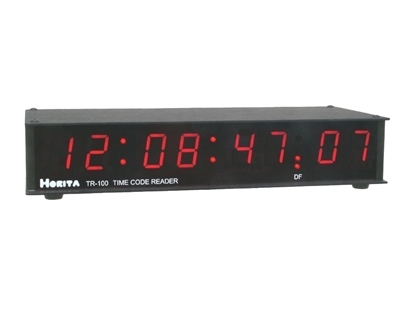 The award winning PTR reads SMPTE/EBU time code and displays the time code and/ or user bit data on a 2-line LCD display. "Store" and "Recall" functions allow quick and easy capture and review of up to 50 time code events. 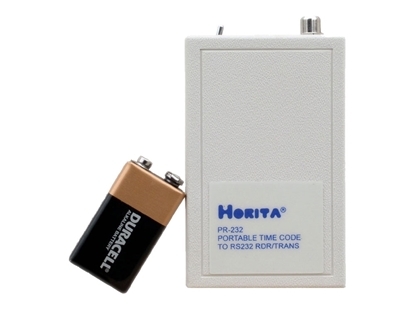 Stored time code and/ or user bit numbers can be sent as RS-232 serial data for input to a computer running the included Horita PTR-LOG program for Windows. 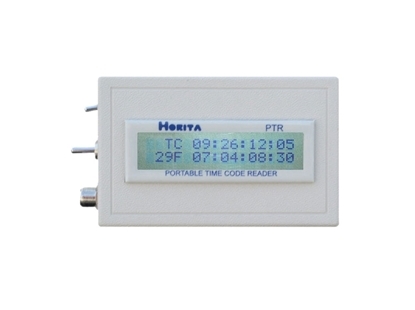 The PTR-LOG program receives the stored time codes from the PTR and allows the user to add comments and then save as text or comma delimited files. 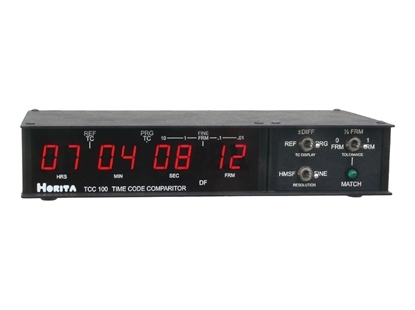 The TCC-100 is a dual input time code reader that compares two LTC inputs and displays their time difference on an LED display. 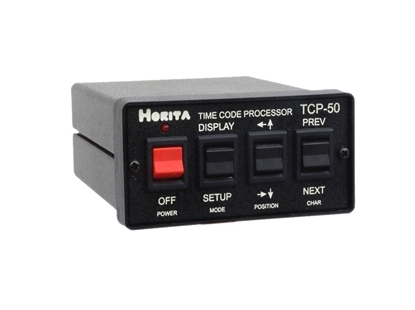 The TCC-100 can be used to monitor or verify proper operation of various time code equipment, or simply display the time offset between two time code sources. 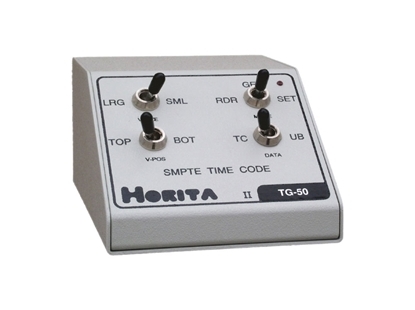 The TG-50 is a basic SMPTE time code generator/reader for generating time code and for making time code "window dub" copies of video recordings. 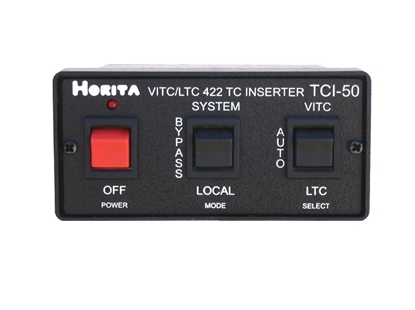 It is very easy to operate and is available in both desktop and rack mount packaging. 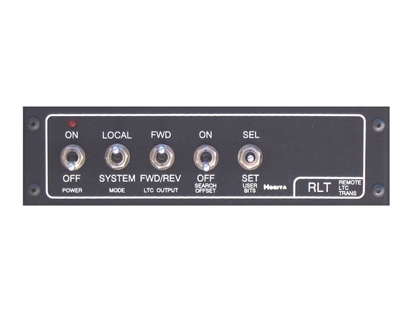 The TG-50 works with SD analog composite video systems and is available in NTSC or PAL models.